Many great scholars have ruled that the original list of kitniot species should not be extended (e.g., flax, sesame, poppy seeds). 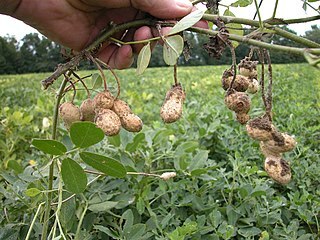 Species that were unknown at the time of the minhag should not be included in the minhag (e.g., soy, quinoa, peanuts). Green vegetables are not kitniot (e.g., string beans, peas in their pods). Most scholars rule that kitniot oils are permitted for consumption (e.g., canola oil, cottonseed oil). Wine: A symbol of joy, we say good-bye to the joy of shabat (Jewish Virtual Library: Havdalah), to create a link between the start of shabat where we used wine in the kiddush and the end (Patrick Mott: Why Does a Havdalah Candle Have Multi Wicks? ), or a symbol of hope for G-d’s blessing in the coming week (Michael Katz and Gershom Schwartz: Shabat in The Observant Life). A braided candle: A symbol of the light of shabat (Jewish Virtual Library: Havdalah), it marks the start of the work week where we are allowed to light fire again (Judaism 101: Havdalah), with it we thank G-d for the gift of fire (Chabad: Havdala Wizard part 7), we start shabat by lighting candles, we end it by extinguishing one (R. Walter Rothschild), or to remind us that G-d began creation by making light on the first day (Michael Katz and Gershom Schwartz: Shabat in The Observant Life). The braids represent the different types of Jews (Jewish Virtual Library: Havdalah), the different uses of fire (Chabad: Havdala Wizard part 7), or the days of the week (R. Walter Rothschild). Spices: A symbol of the sweetness of shabat (Jewish Virtual Library: Havdalah), or to rejuvenates us after the loss of the extra soul we get on shabat (Chabad: Havdala Wizard part 6). Choose the symbolism you like most! Candles: Because light brings joy and we should rejoice on shabat. Two candles: Because we are commanded to keep (shamor) and remember (zachor) the shabat. Kiddush: To fulfill the commandment to remember the shabat. Drinking wine: Because wine is a source of joy and we should rejoice on shabat. Not speaking after washing hands: I don’t know why, that’s just how it’s done. Two challot (loaves of bread): Because on Fridays the Israelites in the desert got a double portion of manna (see also Why do we have two challot on Shabat?). Covered challa: There are several explainations, among them that the manna in the desert was enveloped by dew to keep it fresh (see also Why do we cover the bread for kiddush?). Salt on challa: Maybe be because sacrifices at the temple always had some salt associated or because salt makes sure it tastes good (see also Salt and Challa). Washing hands and praying birkat haMazon after eating are not special for shabat, but done for every meal that involves bread. If you are guest somewhere on Shabat, you will see, that the first bite of bread is dipped in salt before it is eaten. Why is this? What does the salt represent? Salt is used to enhance the taste of bread, it was precious in older times. We want to make sure that the first bite of bread, over which we make the bracha (blessing), has good taste. The table on shabat is compared to the altar in the temple and offerings in the temple were always brought with salt. Salt never spoils, it symbolizes the eternal covenant with G-d.